This morning, St Pancras International unveiled its permanent war memorial, the first ever in the station, created by artist and writer Fabian Peake, to commemorate all those associated with the station who lost their lives during the two World Wars. 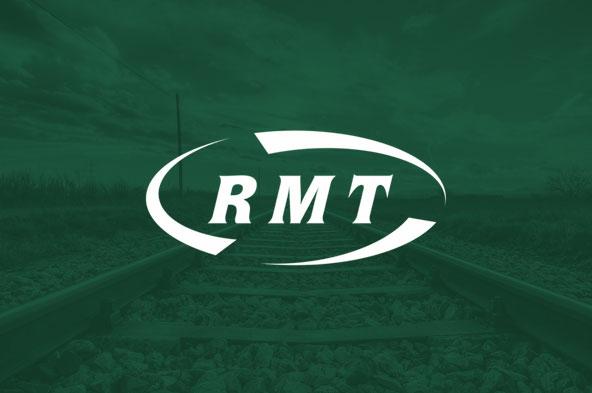 RMT General Secretary Mick Cash attended on behalf of the union. This year, on its 150th anniversary and the centenary of the end of World War I, St. Pancras International is dedicating the 4-metre high memorial as a poignant reminder of the fundamental role the railways played during the wars and conveying the deeper significance of and connection to those who were killed in conflict associated with the station; reflecting on the lives of those who fought and died serving in the armed forces as well as civilians. The memorial sits on St Pancras International’s Grand Terrace, close to the location of bomb damage from two prominent air raids on the station in 1918 and 1941 - the first of which claimed the greatest number of casualties suffered in any air raid on a London station during the First World war. Going forward, the artwork will also mark the location of the annual Armistice memorial held at the station on 11th November.